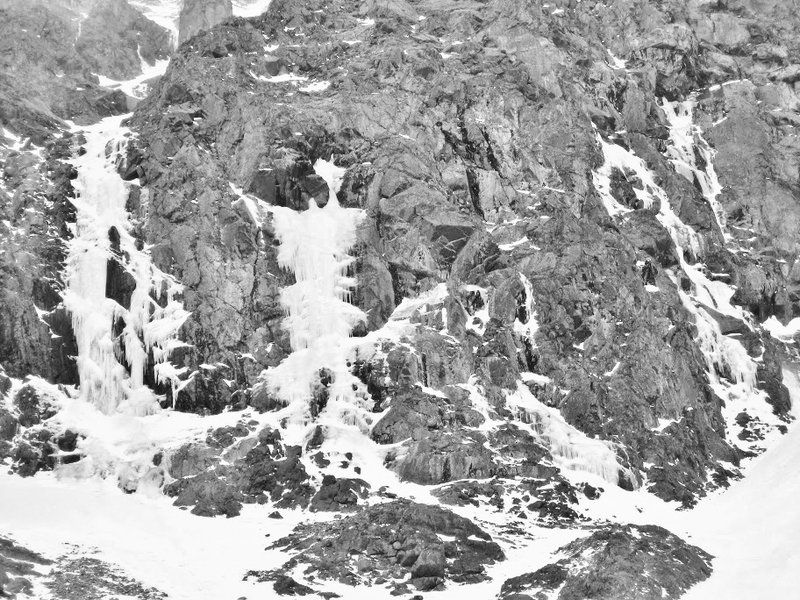 Gran Carambano (IV, WI 5, 100m) in the Froze-To-Death Cirque of the Beartooth Mountains. The route follows the large, steep flow on the far left. Gran Carambano tells the tale of my first significant first ascent. It was a wild day in a beautiful setting, and every detail of that adventure is burned into my memory.